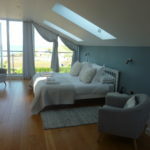 Both Avocet, Curlew and Tamarisk are luxury self catering holiday cottages, which are available to rent on a weekly basis the whole year-round. 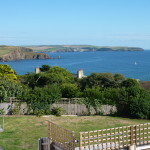 These three properties are next door to each other, so if you have a large group why not consider booking all three?! 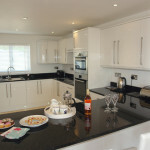 For current availability look at the individual properties and use the links below. 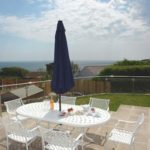 Please note we are no longer taking additional bookings through Helpful Holidays. 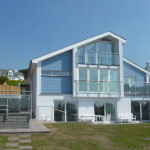 “Avocet” our 5-star luxurious 6 bedroom self-catering accommodation in Bigbury-on-Sea, Devon. 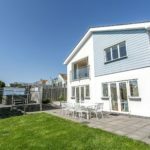 The property includes all modern conveniences as well as a Hot Tub and is built with cutting-edge eco-friendly technology to reduce its carbon footprint. 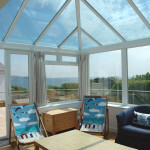 Avocet is the perfect option for a group of friends on holiday or a family vacation. 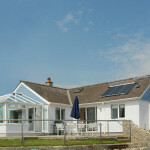 “Curlew” our new 5-star luxurious 4 bedroom self-catering accommodation in Bigbury-on-Sea, Devon. 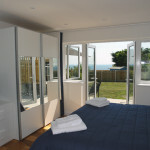 The property includes all modern conveniences as well as a Hot Tub. 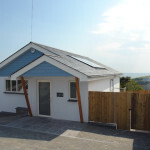 “Tamarisk”, a 3 bedroom self-catering holiday cottage in Bigbury-on-Sea, Devon. 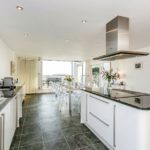 The property includes a cosy sitting room with a wood burning stove and a large conservatory as well as the standard modern conveniences. 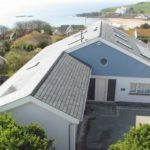 This property has been fully refurbished and is now available.